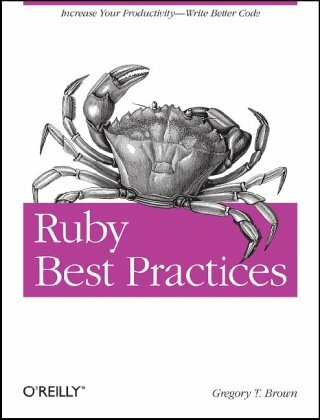 Ruby Best Practices aims to help Ruby developers from a wide range of skill levels improve their fundamental understanding of the language via exposure to the common practices and idioms that many seasoned Rubyists take for granted. With a strong emphasis on exploring real codebases, and an understanding that beautiful solutions depend heavily on context, this book lays out a clear road map to Ruby mastery for those who wish to pursue it. This book is a great collection of ideas, tricks, and skills that could be useful for Hackers. It's a unique extraction reference, summarizes a lot of research and experience. Rubyfu is a book to use not only to read, it's where ruby goes evil.